Great size rooms & location. Clean nice pool/hot tub and Sauna. will stay again. The Coffee Club Down stairs could up their game a bit tho. The unit lacked basic cooking equipment!! No fry pan for instance. To get to the higher quality villas we went past the standard cabins and was relieved once we got to see the villa. The place is a good location and well priced. With its beaches, extensive parks, wide boulevards, and lively public squares, Adelaide is one of the most enticing urban destinations in Australia. 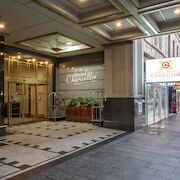 Choose one of our short-term apartment rentals in Adelaide to explore spectacular locales from the coast to the foothills and experience it all with the comforts and conveniences of a genuine home away from home. You might choose to join the tourist crowds at Adelaide's best visitor destinations, among them the Adelaide Botanic Gardens and the Tandanya National Aboriginal Cultural Institute, but when you head home for the night, you'll love having your own private space to share with your family and friends. holiday rentals in Adelaide give you a comfortable, quiet spot to sit for a while and contemplate your itinerary. With its diverse attractions, the capital of South Australia can invite days packed with adventures or encourage a leisurely pace that finds you strolling through dozens of lush parks and gardens, or hitting the beach for a day of sun and surf. Embrace Adelaide's cultural offerings with a visit to the South Australian Museum, which is dedicated to natural history and boasts the world's largest collection of Australian Aboriginal artifacts. Also, stop in the Art Gallery of South Australia, one of the largest art collections in the country. See more works of art at the Contemporary Art Centre of South Australia or learn about wine-making at the National Wine Centre of Australia, where you can also enjoy tastings. You'll be inspired to pick up a bottle of local wine along with a few ingredients and return to your private kitchen to prepare a delicious home-cooked meal. What a delightful way to end the day! Ready to browse the best Adelaide holiday rentals? With a listing of tons of rental houses and apartments, here at Expedia we’ll help you find the perfect temporary home for your next holiday.